I had so much fun watching this movie. As always and as I think many people probably sympathize with, I was fully expecting a dark and moody DC movie. I'm not even really sorry that those are my expectations for this brand because there is such a strong history of DC movies turning out way too angsty and broody. BUT, I think I will officially try to combat those expectations now because this is the second DC movie that I have seen and really enjoyed (the first being Wonder Woman). Firstly, the colors in Aquaman were amazing. And I know I need to explain that more because it is an odd thing to say, so bear with me. Most of this movie takes place underwater, and as such, could have lent itself to naturally be very dark. However, not only were the cities bright and vibrant but the color scheme was so pleasing to the eye. It was full of violets and light blues and whites without being too dominating on those themes. It was beautiful. Plus, there were several gorgeous shots of the horizon with sunsets and sunrises and several scenes on land where it is blindingly (in a good way) sunny and richly colored. Secondly, I thought there was a really nice balance between personalities and humor/seriousness in this film. 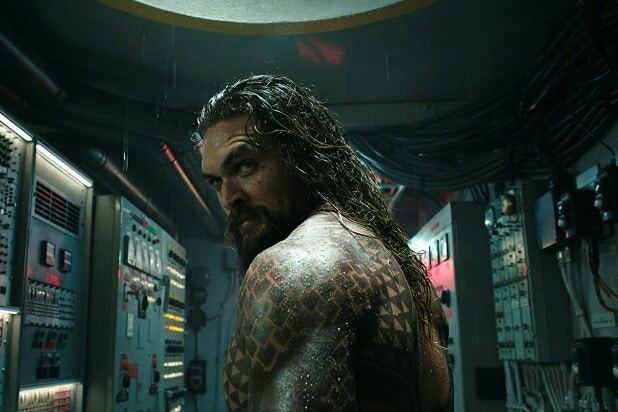 The character of Aquaman, or Arthur, is naturally very irreverent and sarcastic which was refreshing to see in a superhero outside of the Marvel world where they all crack punch lines. Arthur was unique in this and I think is unique in this in the DC world. What this meant for the movie is that the humorous moments were much more organic and were very easily balanced with the other characters of the story. Another thing that I really loved was Mera because I was not expecting there to be a strong female hero in this movie. Honestly, I had no idea who she was going into it because I don't read the comics and there's only brief glances at her in the trailer. I do wish there had been more of her however and more interaction between say her and Arthur's mom, even if it was at the end. This film would not pass the Bechdel Test, which is disappointing because I think it could have if it was written in a slightly different angle, but let's be real, I don't think any superhero movie passes the Bechdel Test. That needs to change. As much as I loved this movie, there were a couple things that I straight up did not believe or that I thought were really awkward and drew me out of the film. Especially in the beginning of the movie, there was a fight sequence in a submarine that I thought was coming out of a 2000's cheap action movie. The music didn't help here either because it was almost epic music, but was sort of mixed with like an indie alternative vibe, and it just didn't work. It sounded and looked like something that would be in a movie spoofing Aquaman. Some of the other things were the Black Manta falling from a cliff, hitting a crap ton of rocks on the way down, with a failing and malfunctioning suit, and somehow surviving at the end? I'm sorry, but nobody would be able to survive that, so how the hell did he? Awkward moments and scenes aside, the plot was fantastic and just serious enough without being too painstakingly dire. 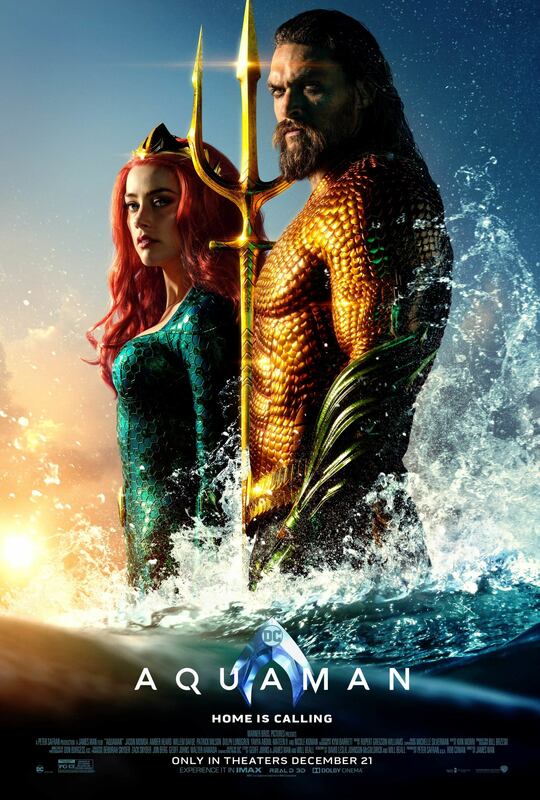 I really enjoyed watching the characters develop the way that they did, even if the relationship between Arthur and Mera moved too fast, and seeing how things finally unfolded in the end. 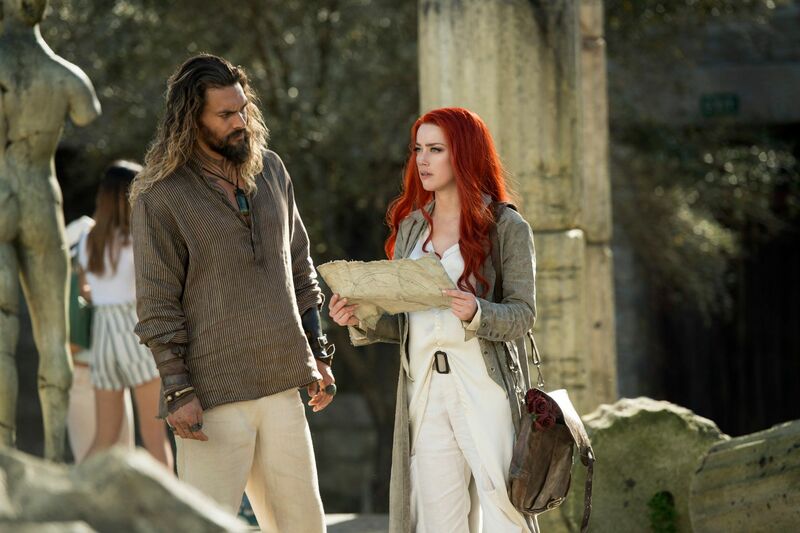 It was great to see Jason Momoa on the big screen as well as Nicole Kidman, who is just genius in every role she plays, along with a bunch of other actors that I had either never heard of or hadn't seen in a while all really pull off great performances. All in all, it was a great dramatic movie to watch post-Holidays!